Is your idea of the perfect holiday lounging on a beach with a fresh coconut cocktail after a day of diving with turtles amongst the most beautiful coral reefs? Or maybe you’re in search of a thrilling adventure where you can sleep amongst elephants? If there is anywhere in the world that offers the best of both, it’s Tanzania. This incredible country is nothing short of breathtaking, with its idyllic beaches, exciting wildlife, majestic landscapes, and eclectic culture. The beaches on Pemba Island are ideal for a quiet hideaway. Surrounded by lush mangrove forests, it’ll take a bit of trekking to find the perfect patch of sand. If you’re mainly here for the diving and to snorkel among the delicate coral reefs, you’ve found your spot. Misali Island, just off Pemba’s west coast, is a breeding ground for turtles and birdlife, and its crystal blue waters are perfect for swimming and snorkelling in the turquoise lagoons. A 30-minute drive north of Dar es Salaam, Kunduchi Beach offers more of a resort-type experience with hotels and beach resorts lining the palm-fringed shoreline. 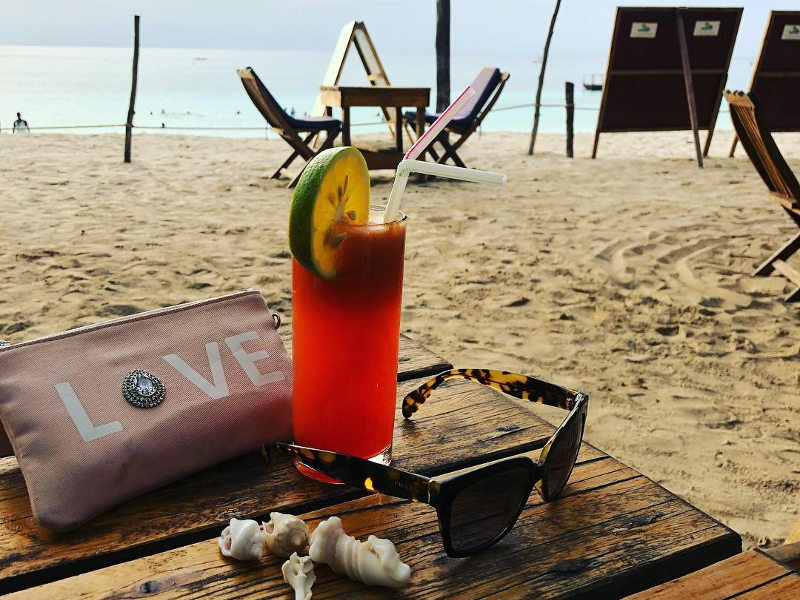 There’s plenty of white sand stretching for miles, and thatch-covered loungers to keep you cool and relaxed while you sip on fresh fruit cocktails. This beach is ideal for windsurfing and family activities. 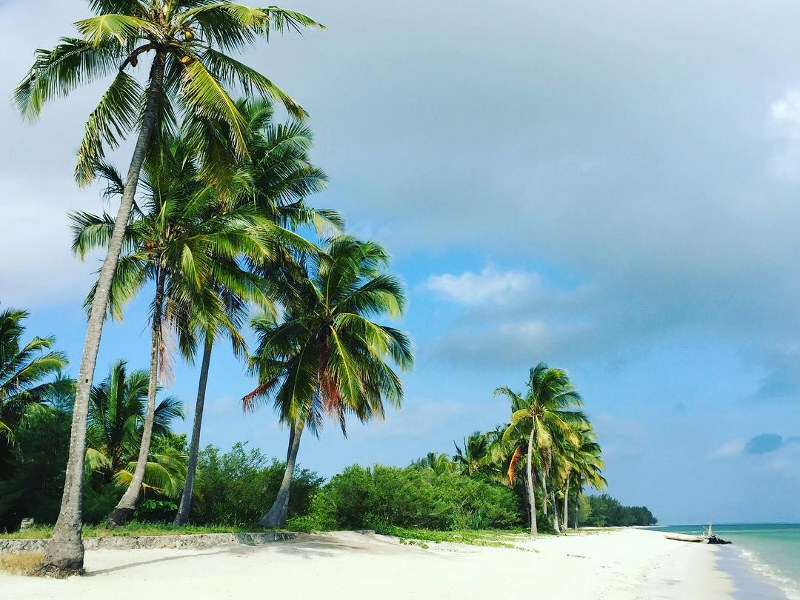 The beaches south of Dar are surprisingly some of the best, with their pearly-white sand, sparkling water and towering palm trees. 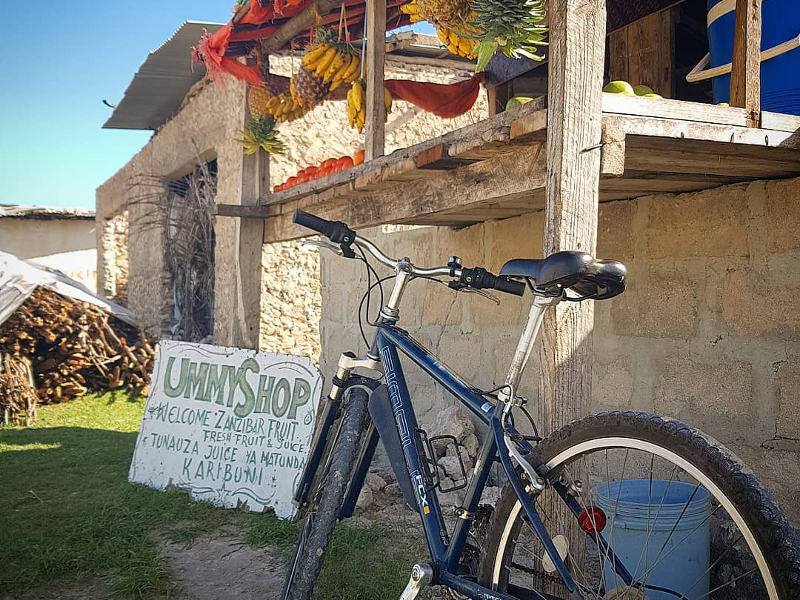 Kipepo Beach Village is known as expat haven, splashed with rustic bars and hostels. 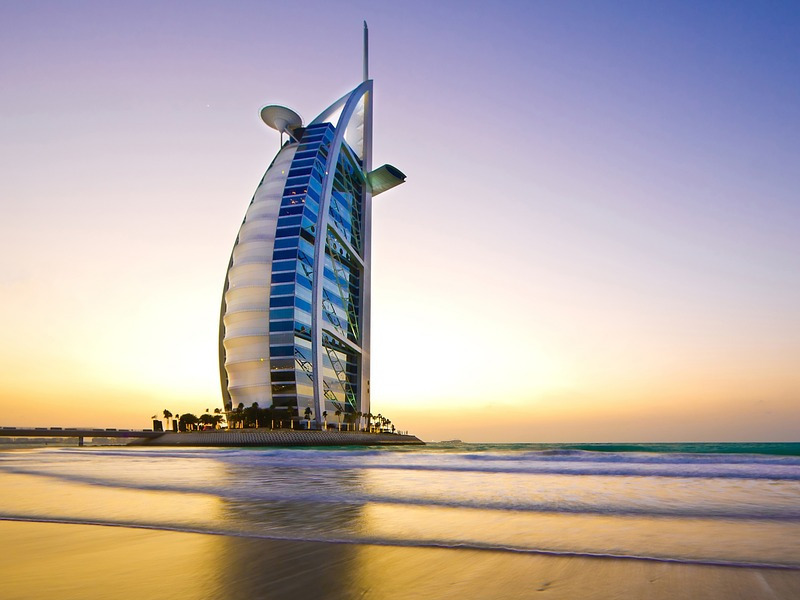 For an upmarket splurge, Ras Kutani and Amani Beach Club offer amazing views and luxury accommodation. The beaches along the west coast of this island are unspoiled and untamed – the ideal retreat from the tourist buzz. Butiama Beach is a stunning remote hideaway, its powdery white sands stretching for miles into the sunset. 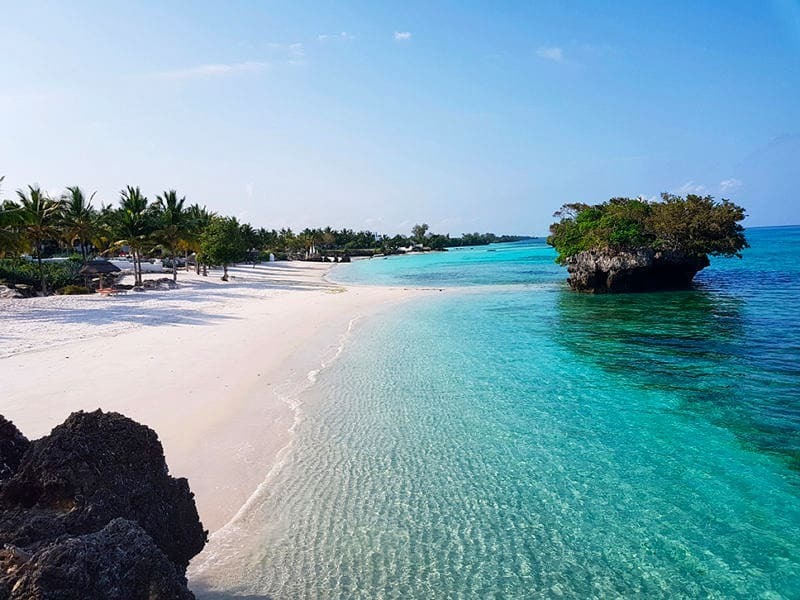 Matemwe – Zanzibar’s best-kept secret. It’s a wonderfully-secluded beach to laze on and tuck into that novel over a sundowner. Matemwe is a great base for spice tours, snorkelling trips and boat rides to Prison Island. Nungwi is, not surprisingly, one of Zanzibar’s not-so-secret beaches. 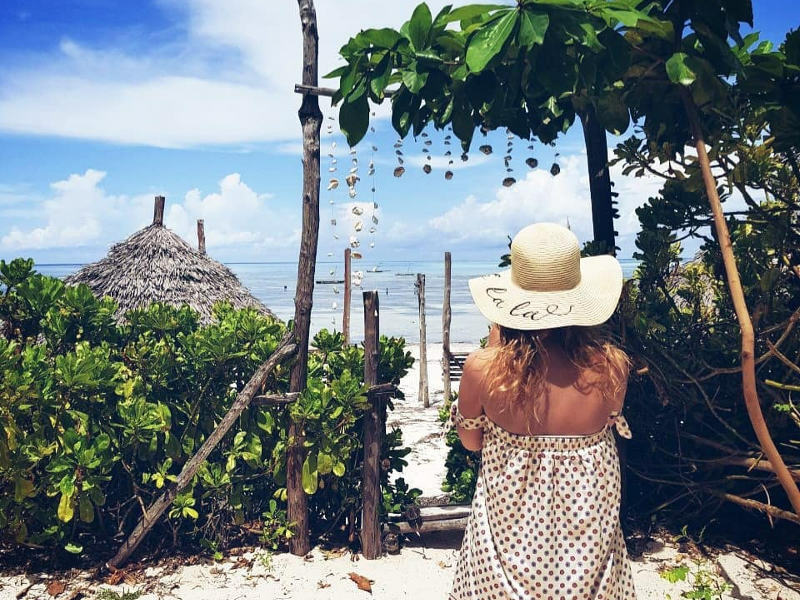 Famed for its pristine, shimmering white sand, crystal-clear waters, top-notch fishing and heart-warming sunsets, Nungwi is, arguably, one of the best beaches in Tanzania. 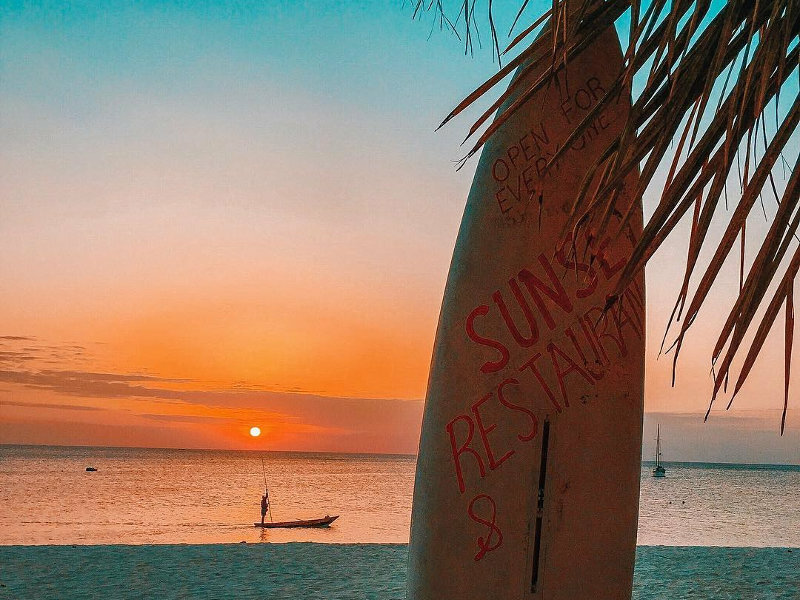 With a hub of water sports, beach activities, beach bars and nightlife, this is a hotspot where backpackers and 5-star travellers come together to party the night away. 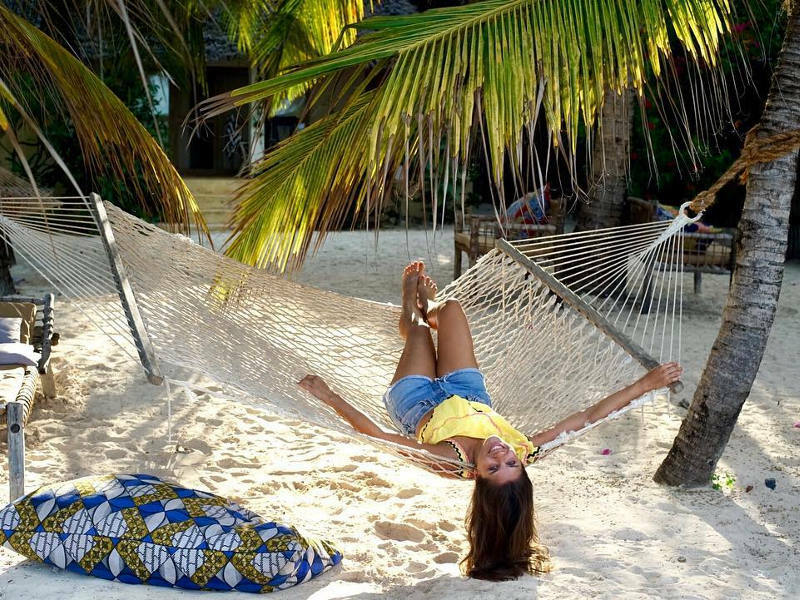 Also read: Where are the best beaches in Zanzibar? Tanzania’s top diving sites are located around Zanzibar, Pemba and Mafia islands. 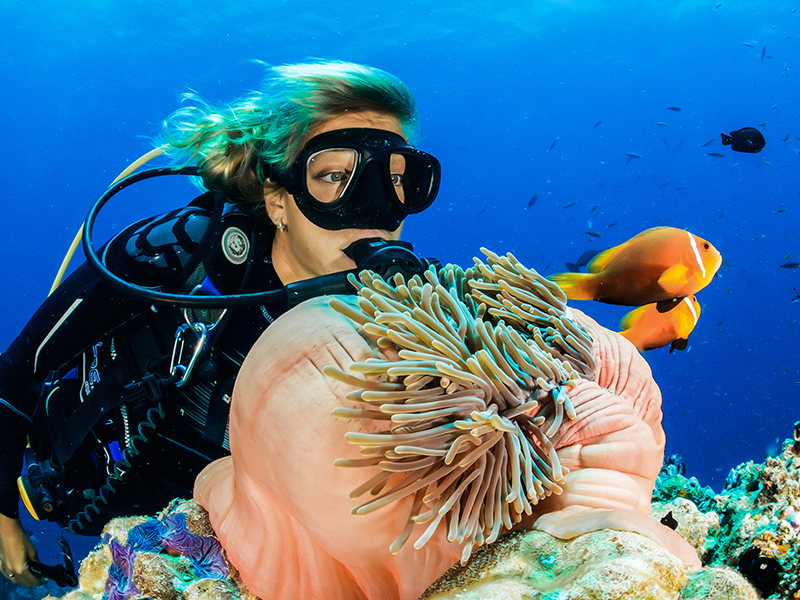 The marine biodiversity in these regions offers something quite unique for both marine biologists and leisure divers. The best time to go diving around the islands of Tanzania is from October to March, when visibility is best, up to 30 metres. The water stays wonderfully warm at around 27 degrees Celsius, making you want to linger among the starfish just a little longer. The archipelago of islands and reefs around Zanzibar has put Tanzania on the map as one of the most incredible diving spots in the world. With its clear warm waters and abundant marine life, you’ll have the time of your life spending hours exploring the great ocean depths. To the north of Zanzibar is where you’ll find vast coral reefs, kingfish, barracudas and whitetip reef sharks, particularly around Leven Bank. With its strong currents, Leven Bank is recommended for advanced divers only. If you only have one opportunity for a dive in Tanzania, ensure it’s at Mnemba, to the northeast of Zanzibar. This incredible dive spot feels like an aquarium as you swim amongst the vibrant coral, blue surgeonfish, moray eels and turtles. The Big Wall to the east of Mnemba is a deep dive paradise for experienced divers, home to reef sharks, tuna, rainbow runners, batfish, manta rays and hammerhead sharks. For the most awesome night dives, the waters of Kichafi are home to hard corals, snapper and stingrays. Known as the “Green Island” because of its wild mangrove swamps and clove plantations, Pemba Island remains fairly untouched and offers something special for every level diver. 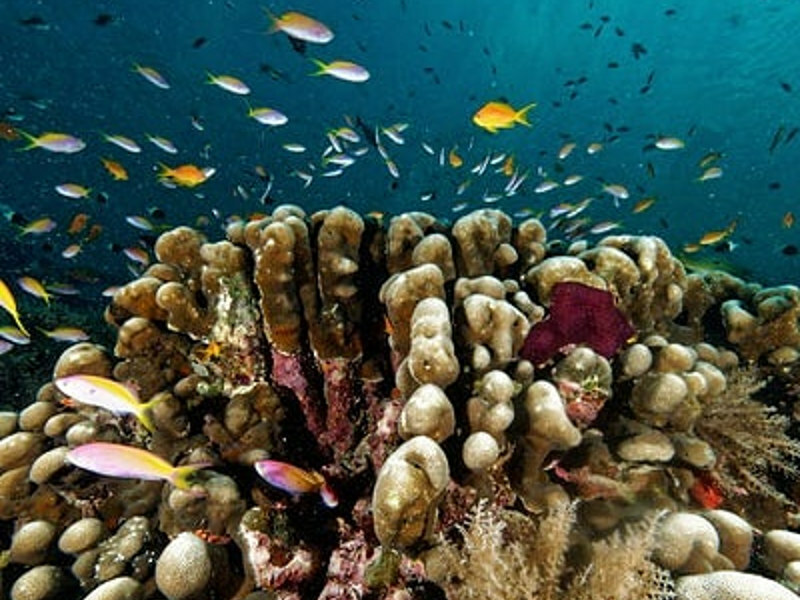 As a more protected diving area, the ocean around Pemba teems with vibrant, healthy coral and magnificent sea creatures. 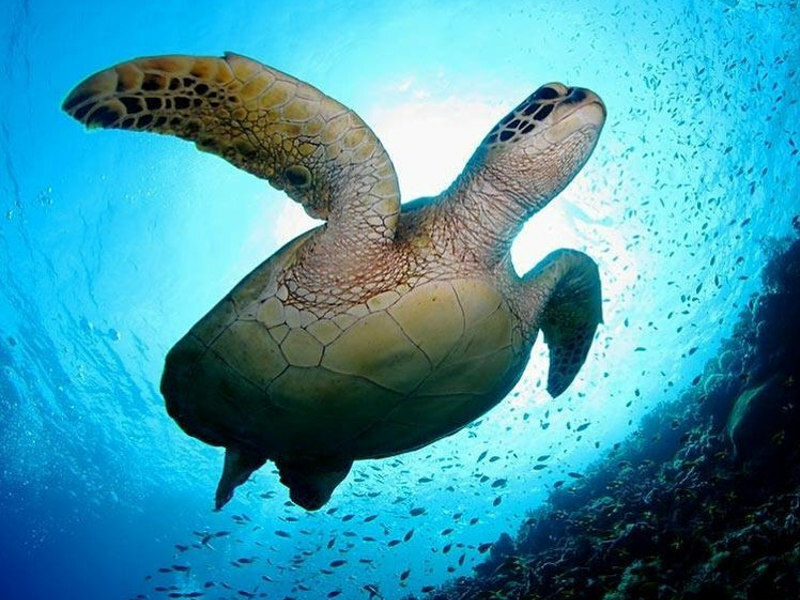 Some of the sea life you can encounter here include reef sharks, turtles, puffer fish, clownfish and eagle rays. Due to the strong currents and sheer drops, many of the diving spots around Pemba are recommended for more advanced divers. Just south of Dar es Salaam, the coral seabeds around Mafia Island bristle with manta rays, clownfish, octopuses and many other colourful sea creatures. If you’re lucky, you can even spot dolphins in the distance. The island is a breeding ground for manatees and leatherback and green turtles, and the ocean itself is home to over 400 fish species. On a clear day, visibility around Mafia Island can reach up to 40 metres. Island hopping is a great way to explore all the major dive sites. If you’re a newbie diver or just want to get your feet wet, there are many day tours to the various islands. More serious divers should consider a live-aboard trip, where you spend a few days on the boat with a lot more diving opportunities. See a more in-depth guide to the best dive spots around Tanzania’s islands. There’s a lot more to Tanzania than Kilimanjaro, the game reserves and powdery beaches. Immerse yourself in the local culture with multi-day guided tours and see how the different ethnic tribes go about their daily life. 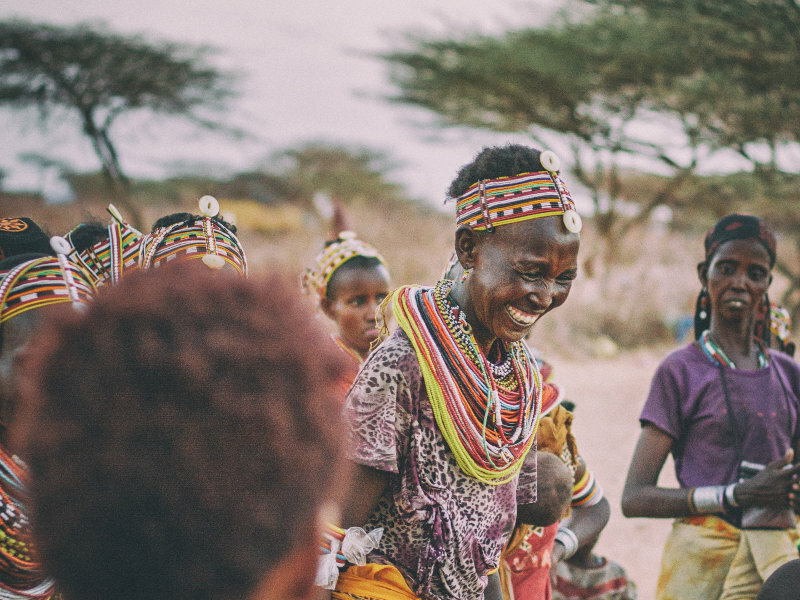 The Swahili people are incredibly warm and genuine, and you’ll feel welcome the moment you arrive. Learn about the nomadic Maasai, cloaked in their traditional red blankets. Walk through mountainous villages, boasting panoramic views of the surrounding scenery. Wake up to the sound of birds chirping in the baobab trees as purple dawn cracks through and the farmers are already tending to their grazing cattle. Fish amongst hippos, try your hand at some local beer brewing, tour coffee and banana farms, pay a visit to traditional healers and be welcomed into the Maasai’s bomas where traditional singing and dancing is the order of the night. Tanzania’s islands have much to offer in the way of beauty, history, art, entertainment and cuisine. Zanzibar is a hub of activity with all sorts of tours on the go. 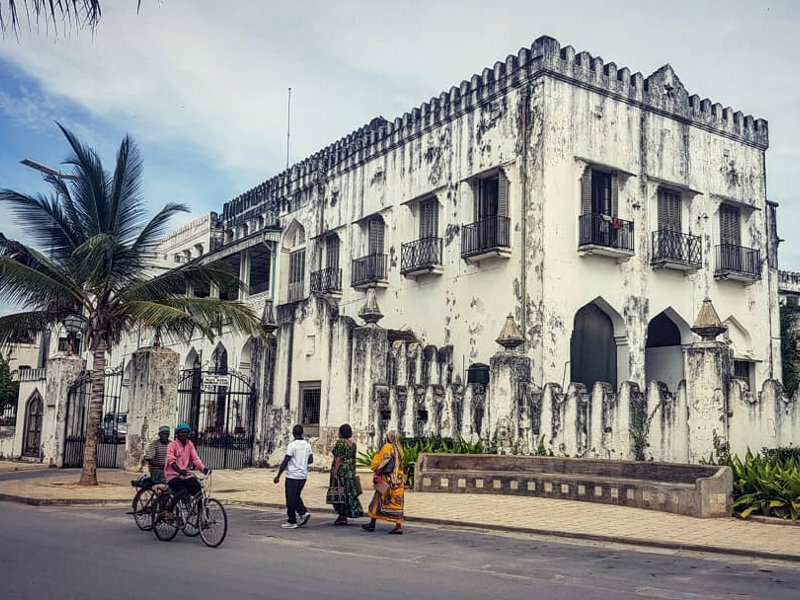 The flamboyant capital of Stone Town is imbued with echoes of Chinese, Arab, Portuguese and British history and architecture. Colourful shops, crumbling white houses and cafés with ornately-carved wooden doors spill onto the streets, welcoming passers-by to scents of cinnamon and barbecued seafood. Wander through the winding alleyways as the shophouses buzz with locals and schoolchildren scurry past you. Some particularly fascinating sites to see include the Old Customs House, Slave Market, and Palace Museum. Whether you’re on the islands or trekking through the wild landscapes, you cannot escape the curiosity and wonder of Tanzania’s distinct cultures. Tanzania’s food scene is anything but ordinary. Its combination of Middle Eastern cuisine with East African flavours results in all sorts of interesting, diverse dishes. A walk through Zanzibar’s night markets will lure you to all kinds of quirky food stalls where wafts of cinnamon, nutmeg and saffron beckon you in. 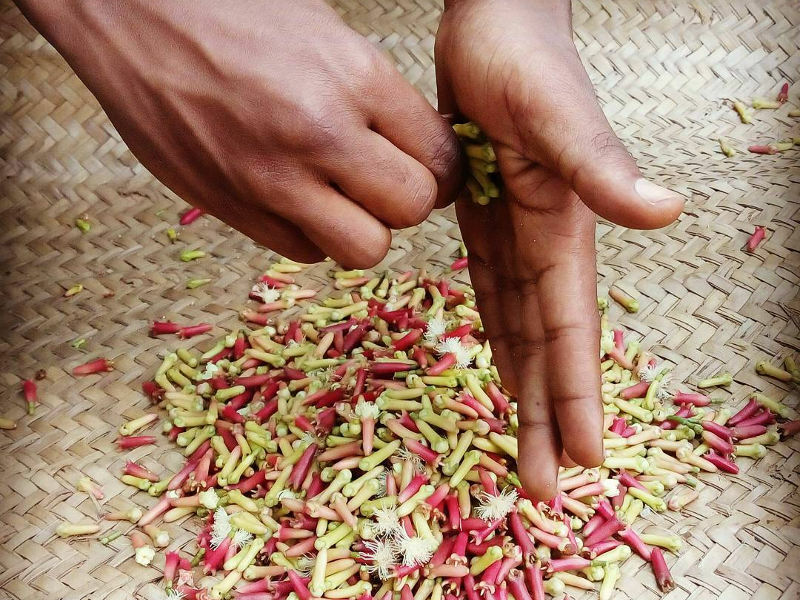 Take a spice tour and learn the fine art of cultivating herbs and spices and how they are used. As a famed spice route for Portuguese traders in the 16th century, you can find everything from lemongrass, turmeric and vanilla, to fresh coconuts, papaya and jackfruit. 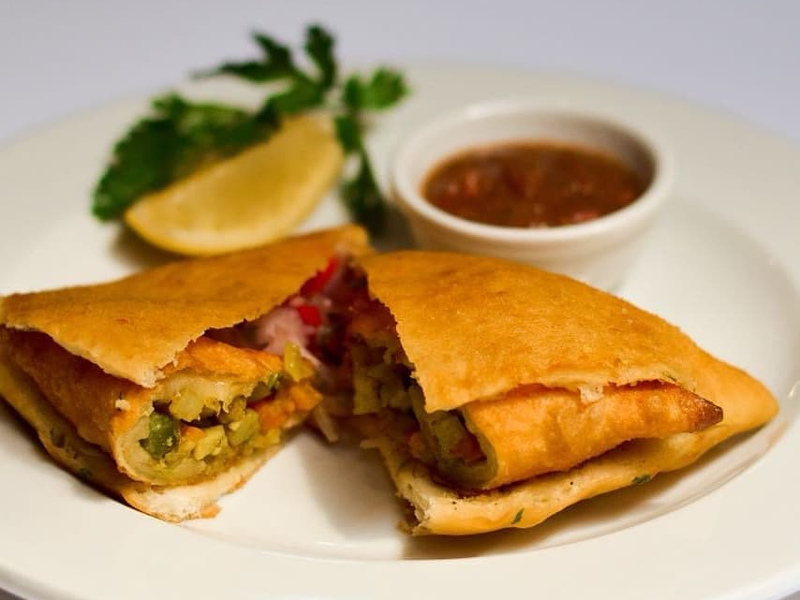 Also read: 12 things that will make you fall in love with the food of Zanzibar. Tanzania’s street food is an exciting affair! Watch the locals rustle up some favourites like ndizi kanga (fried banana), nyama choma (char-grilled meat drizzled with lemon and chilli), chapatti (fried flat bread) and mandazi (fluffy coconut doughnuts). If you find yourself in Bukoba, do try the local craft beers and gins, infused with banana juice, corn and honey. Yum! Tanzania’s shopping scene will have you squeezing your suitcase to fit everything in, so make sure you pack light with lots of space for souvenirs! 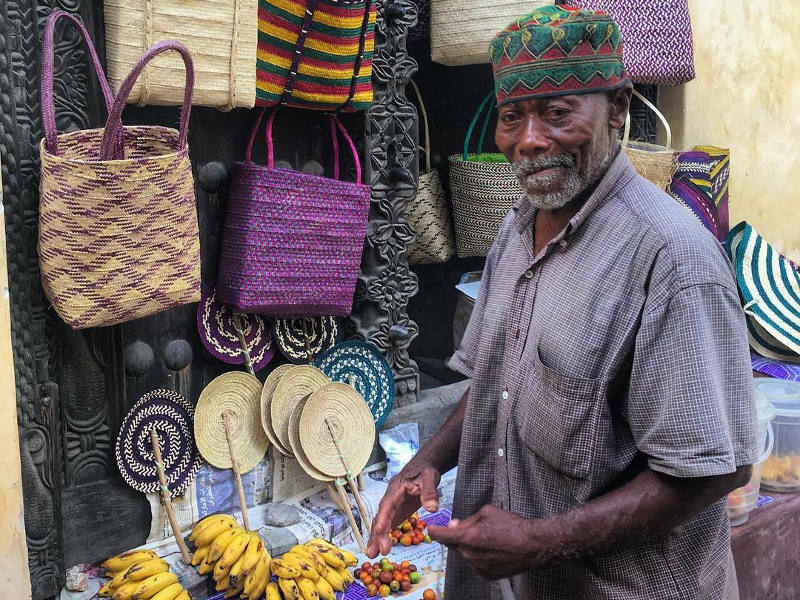 Dar es Salaam, Arusha and Stone Town are peppered with markets, bazaars and curio shops. You can find street stalls selling snacks and all kinds of trinkets near game parks and along the beaches. Pick up some special souvenirs like batiks, soapstone carvings, handmade chess sets and distinct Tingatinga style paintings that resemble the Serengeti landscapes and Masai villages. You’ll be surprised at what the skilled locals can carve from a single piece of teak or ebony wood. Kikois and kangas make for remarkable sarongs, cushion covers and bags in their kaleidoscope of bright patterns. Let the saffron- and vanilla-scented streets of Stone Town lead you to the wonderful spice markets, where you’ll be tempted to stock your pantry with all things exotic. Those looking to add a sparkle to their holiday can find beautiful Tanzanite stones in Arusha and Dar es Salaam. These rare, semi-precious stones can be bought at reputable jewellery stores and licensed curio shops. Avoid the risk of buying a fake at street vendors and always ask for an international gem certificate. While prices are generally fixed at retail shops, bartering is common practice at the markets. A simple Hapana Asante (“No, Thank You” in Swahili) will let the locals know you mean business. Tanzania’s nightlife is as vibrant as its people. While your days are spent lazing on the glorious beaches or trekking through the wild forests, as the sun sets beyond the shimmering horizon, it’s time to let your hair down and feel the lively pulse of the night sky. With its African, Arab and European influences, Dar es Salaam is a melting pot of culture where you’ll find jazzy African clubs just around the corner from English pubs. Whether you’re looking for a chilled spot to have a beer, or a heaving dance floor, this city has a range of options to suit every traveller. For an easygoing evening, Q Bar and The Slow Leopard are local favourites. For a little more excitement, dance the night away at Samaki Samaki and High Spirit Lounge Bar. While Arusha is more famed for its scenery and wildlife, Arusha’s nightlife will not disappoint. 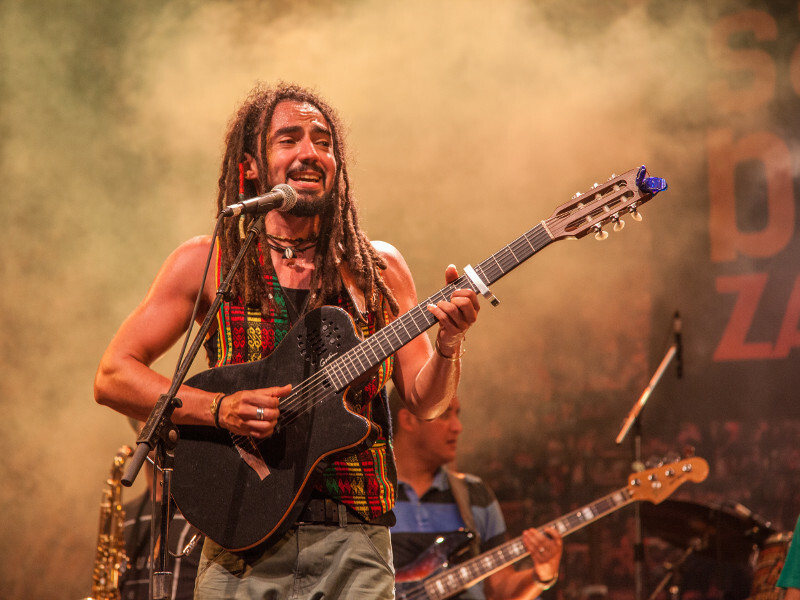 With local bands playing a selection of reggae, R & B and techno, you’re sure to find a bar in which to while away the evening. Enjoy the local menu and music at Via Via Cultural Café and Fig & Olive. 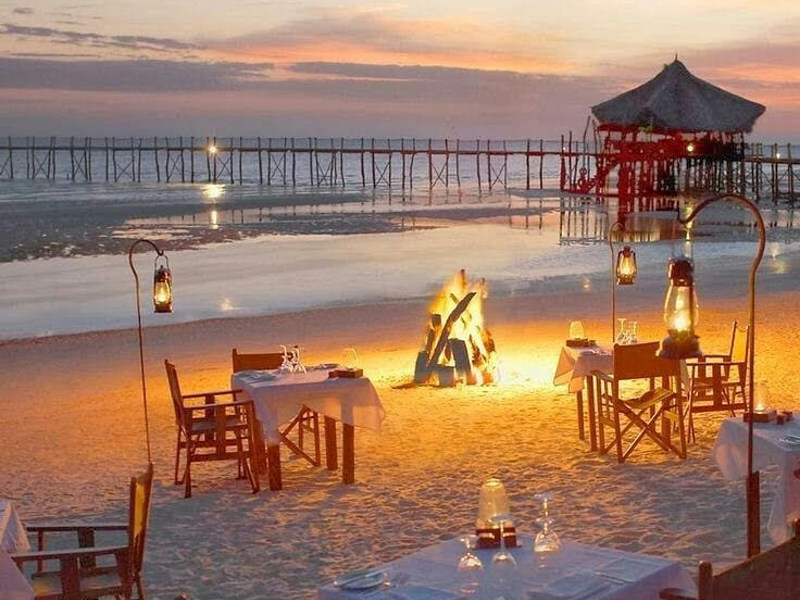 Zanzibar offers up everything from rustic beach bars to upmarket nightclubs – the choices are endless! The buzz of Stone Town comes alive at 6 Degrees South, Africa House Hotel and Garage Club. The beaches of Kendwa, Paje, Nungwi, Pingwe and Jambiani hum with beach bars galore, so kick off those shoes and dance under the African stars. 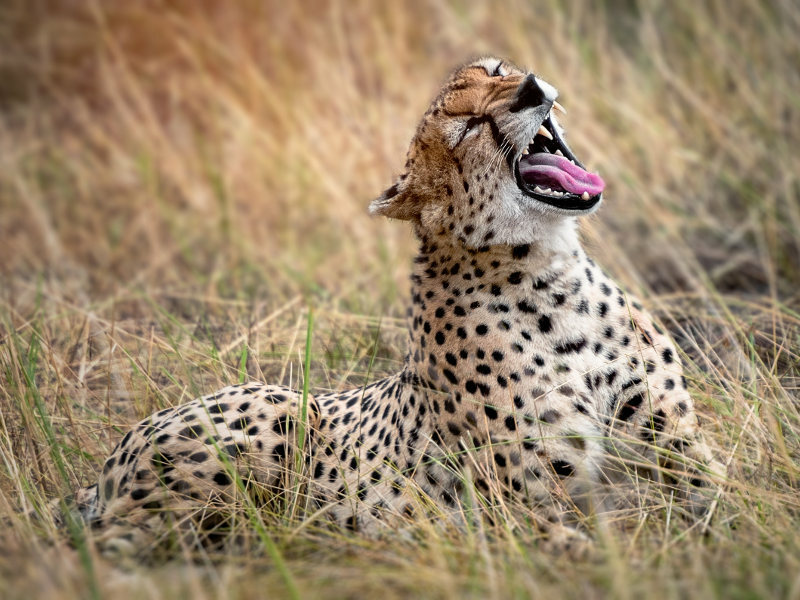 Tanzania’s wild landscapes and savanna plains abound with wildlife and offer some of the best safari experiences in Africa. More than 25 percent of Tanzania’s land is protected and is the breeding ground for both populous and rare animal species. The Serengeti Game Reserve needs no introduction. The Great Migration is an exceptional opportunity to witness the droves of wildebeest, zebra and gazelle moving across the plains. The rains dictate the exact time of the migration, but a good time to plan your safari is usually between June and September when the river banks are brimming with crocodiles ready for action. 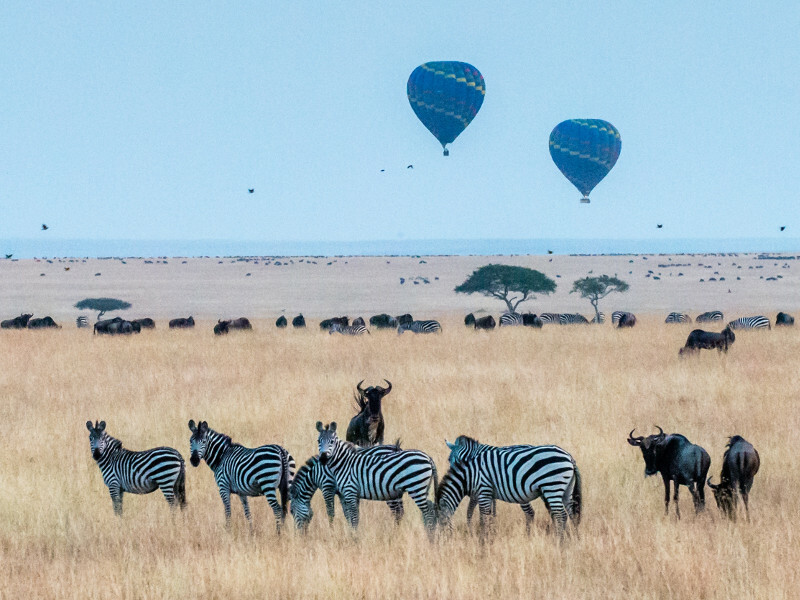 See these spectacular photos of the Serengeti and Maasai Mara Migration. The huge volcanic caldera that is the Ngorongoro Crater is an iconic and beautiful wildlife haven. Spend a few nights sleeping under the stars and waking up to buffalo and zebra grazing amongst the baobabs next to your tent. Watch the black rhino, elephant and lion roam the grasslands, while the colourful Maasai tend to their herds and the pink flamingoes cluster around the sparkling lakes. This is a special once-in-a-lifetime-experience for anyone wanting to be close to nature. While Tanzania’s national parks are not shy of wildlife and unbelievable scenery, there are a few smaller parks to consider too. These include Selous, Tarangire, Katavi and the Mahale Mountains National Park – home to some of Africa’s last wild chimpanzees. Wherever you decide to set up camp, you’ll be in awe at the sheer scope and beauty of Tanzania’s wild landscapes and those that call them home. Remember that visitors staying in any of Tanzania’s national parks are required to have a yellow fever vaccination, while anti-malaria medication and insect repellent is highly recommended. See more information on yellow fever requirements. While Tanzania is famed for its safaris, the country is nothing short of an adventurer’s playground. Learn the calls of the wild as you trek through the lush forests and mountain slopes that make up Tanzania’s spectacular scenery. 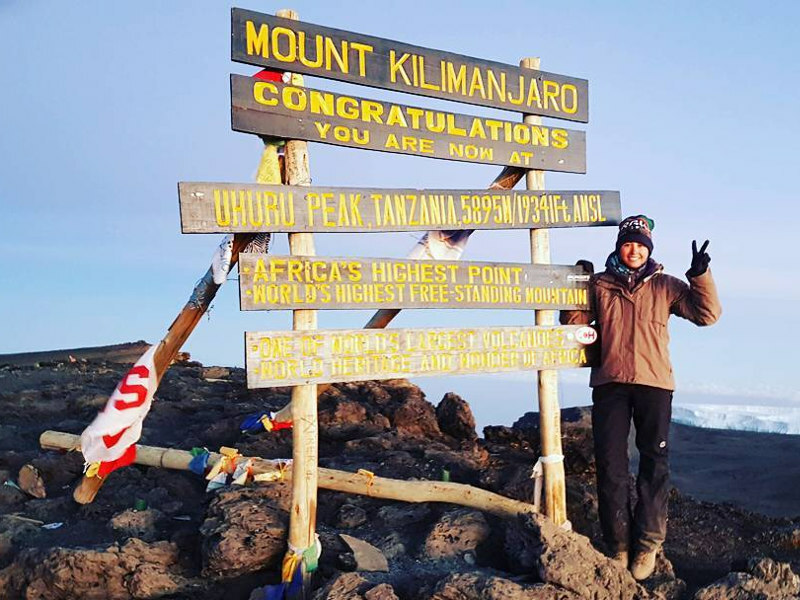 For avid hikers, Mount Kilimanjaro awaits with its majestic peak towering above the land. Choose between six climbing routes over a period of five to ten days. 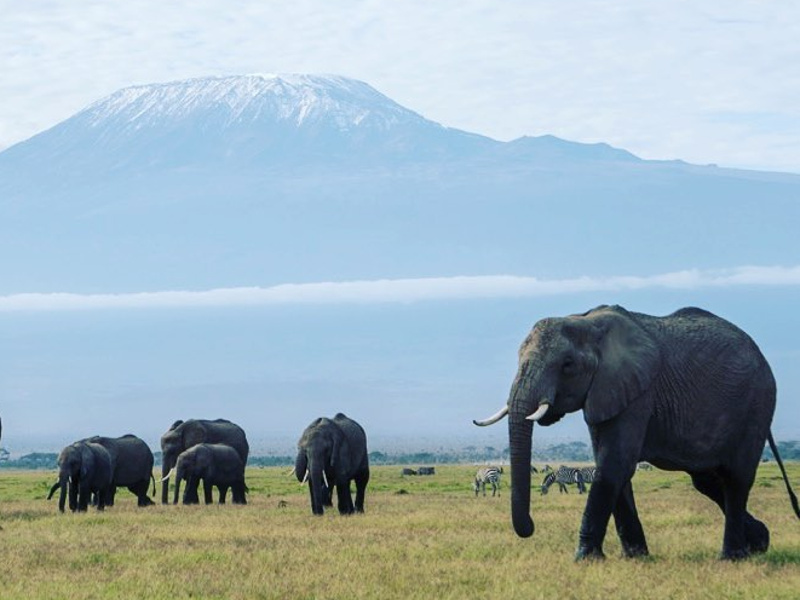 If Mount Kilimanjaro looks like a daunting challenge, its smaller version, Mount Meru (located in Arusha National Park) is also impressive with herds of elephants, giraffes, buffaloes and monkeys frolicking along its slopes. 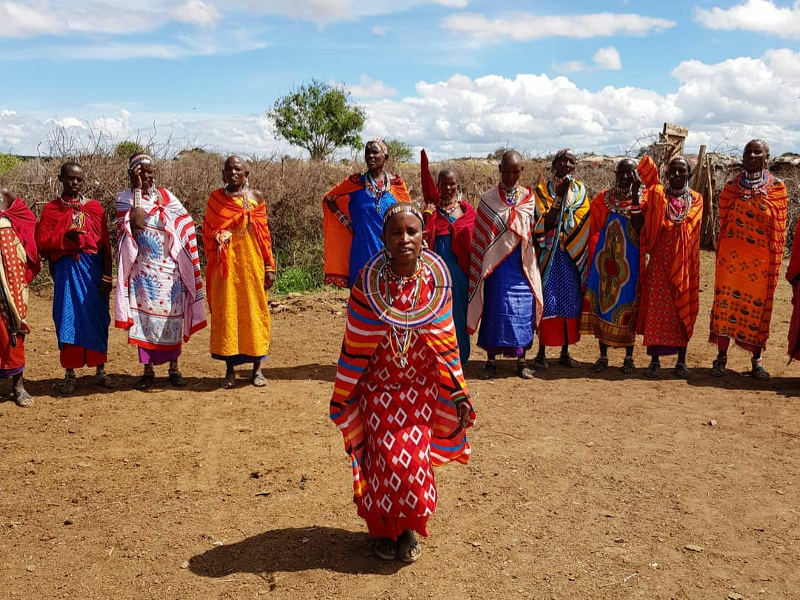 A multi-day hike through the Ngorongoro Conservation Area will lead you to experience the Maasai culture as you stop at their villages along the way. Further south, the Udzungwa Mountains National Park and Uluguru Mountains offer wonderful biodiversity, cascading waterfalls, and you may just stumble upon a few historical, colonial buildings dotted amongst the brush. If you find yourself in Kigoma, the hiking and quad biking around Lake Tanganyika is just as thrilling! Does waking up to the calls of wild dogs and the chirrup of birds excite you? 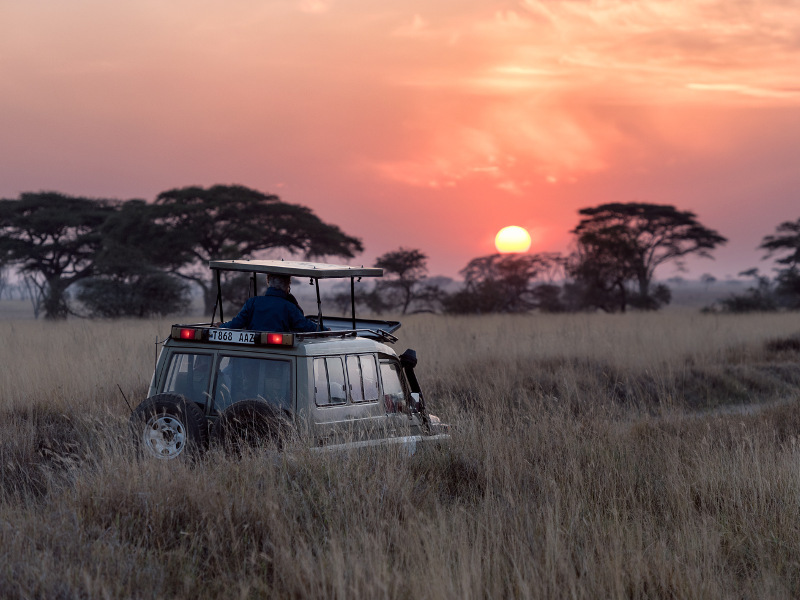 How about watching leopards stalking the grasslands at dusk as the ruby sunset settles over the savanna? 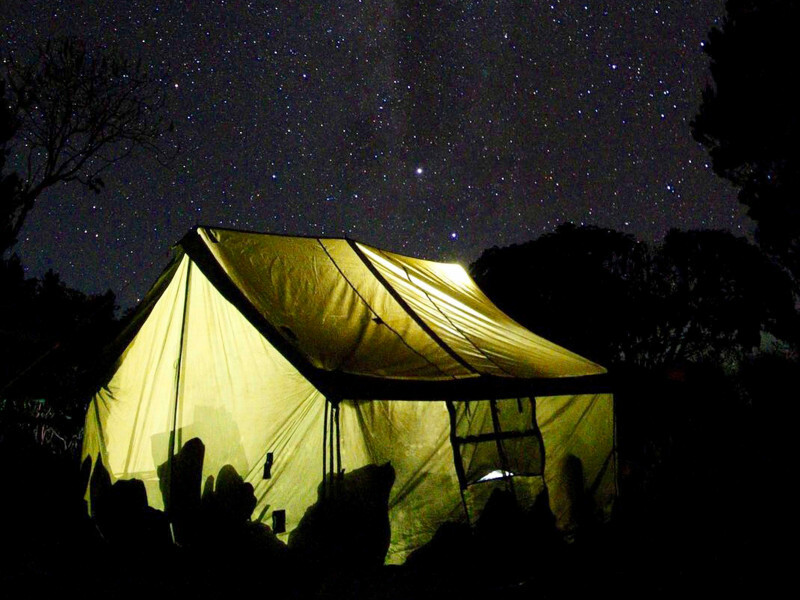 Camping safaris are the best way to experience Africa’s wild side and sleep amongst the Big Five. Whether it’s a luxury safari or simple tent and backpack, you’re in for an adventure! 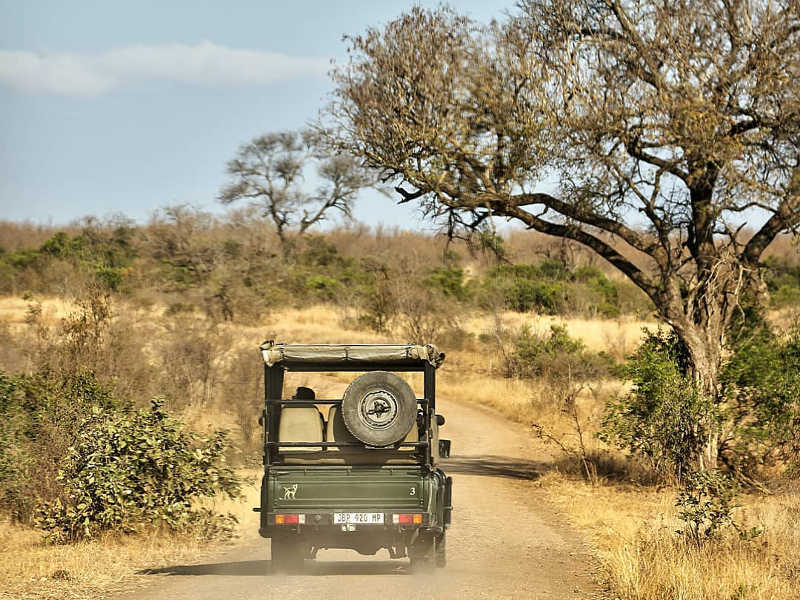 Choose between walking safaris, hot-air balloon safaris, horse riding safaris, guided jeep safaris or cycle tours through the game parks and countryside. Tanzania’s beaches offer up some of the best surfing, windsurfing and kitesurfing in the world! 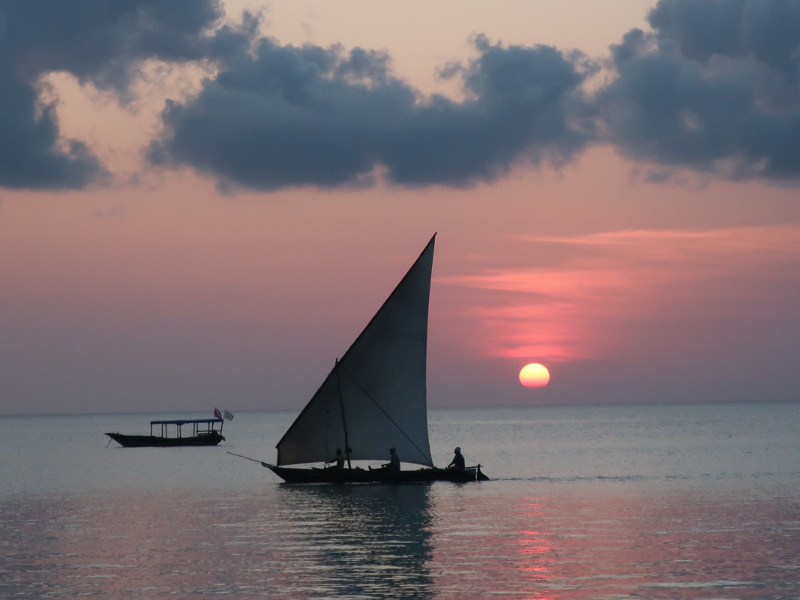 Off the coast of Zanzibar, beach bums can fire up their sails along Jambiani, Paje and Matemwe. There are plenty of beginner schools for first-time surfers, with rustic beach cafés set up along the sand. For the best waves, grab your surfboard and head down to Bongoyo Island, Oyster Bay and the south reefs. If catching waves aren’t your thing, you’ll have a whale of a time swimming, snorkelling, paddle boarding and jet skiing. The crimson sunset is the perfect backdrop as you sail across the ocean in the wooden dhows. Travelling around Tanzania is exceptionally affordable – it all depends on how you do it. Swap out luxury safaris for basic camping, stick to local food joints and sharpen your bargaining skills wherever you go! Getting around Tanzania is a breeze. Always negotiate prices before getting into a taxi. Dalla-dallas (pick-up trucks) are common ways to get around and are pretty inexpensive, though they can get very crowded. Get more bang for your buck with cheap flights to Tanzania, departing from all major cities in South Africa. Internal flights won’t break the bank, with Air Tanzania and Precision Air serving domestic routes between Zanzibar and all major cities on the mainland. Depending on how much time you have, overland tour buses are a wonderful (and cheaper) way of getting around. A short, direct flight from Johannesburg on SAA will land you in Dar es Salaam in just over three hours. From there, a world of adventure awaits. With its wonderfully warm weather, tropical beaches, unrivalled diving, thrilling safaris, delicious cuisine and the grand Kilimanjaro at the peak of it all, is Tanzania on your bucket list yet? Check out our latest flight specials and sign up for our newsletter to see our hidden deals to Tanzania and Zanzibar. or by sending an email to travelstartlive@travelstart.com with all details exact dates, routing, budget and number of passengers. An agent will get back to you with 2 working days. Thank you for this very informative newsletter on Tanzania which helps tremendousy when choosing a holiday destination. Definitely on the bucket list! 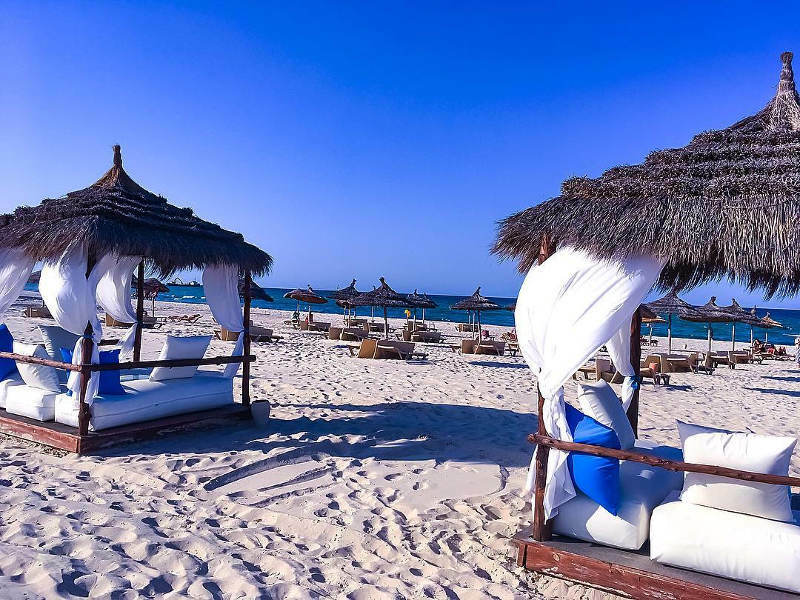 The Great African Experience – Discover Tunisia!